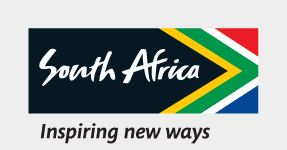 SSouth African Tourism works to support both local and international travel trade partners through education about South Africa, tools to assist with the marketing of South Africa and South African products and strives to unlock opportunities for business in the tourism value chain. Keep up to date with the latest industry news and events in South Africa and abroad, and become an expert on South Africa through our various support tools and programmes listed below. TGCSA is the only officially recognised organisation that authorises accommodation establishments to display stars. Get graded today! Recognising and rewarding tourism players and businesses who work to deliver world-class products and services. Welcome South Africa aims to create and sustain engagement with industry stakeholders, and encourage information sharing. A collection of some beautiful images and video clips made for the esteemed partners of South African Tourism in promoting travel in and to South Africa. If you're a travel trade partner, widen your reach by uploading your latest and greatest South African travel deals to South African Tourism's own Deals Dashboard. Tourism operators can update their offering and for travellers to find accommodation, activities and attractions. One of the largest tourism marketing events in Africa and one of the top three ‘must visit’ events of its kind on the global calendar. Africa’s Travel Indaba teams up with local street art talent in Durban! SOUTH AFRICA, Johannesburg – Monday, 15 April, 2019: From the hieroglyphics in Egypt to the cave paintings in Maropeng, art has always been a vehicle for documenting history and telling our stories. Art is also an interpretation of life and takes many different forms, such as music, paintings, graffiti and dance. Cape Town Air Access (CTAA) welcomes the announcement by United Airlines that they intend launching a new non-stop route between the US and Cape Town, from Newark Liberty International Airport in New Jersey, New York. South African Tourism (SA Tourism), along with partners Travelstart and @SouthAfrica will collaborate in an exciting Instagram initiative that will showcase the best of South Africa through the month of April 2019. SOUTH AFRICA, Durban – Wednesday, 3rd April, 2019: In a bid to boost tourism in Africa, it is time that we change our narrative from a continent that needs saving to one that is thriving. This was the key insight at Africa’s Travel Indaba Media Launch held at The Plant Venue Co., Durban on 3rd April 2019. The Board of South African Tourism has resolved to investigate allegations received against the organisation’s CEO, Mr Sisa Ntshona, through its anonymous tip-offs reporting mechanism. The Board is obligated to thoroughly investigate these allegations, in the best interest of all parties concerned. Well-known and respected Marketing and Advertising Executive, Jerry Mpufane, will swop his Johannesburg office for the Big Apple. Mpufane has been appointed as the new South African Tourism Hub Head for USA and Canada, taking over from Bangu Masisi whose term in office has come to an end. JOHANNESBURG, SOUTH AFRICA – A delegation of about 50 professionals from the United States arrived in South Africa on Sunday, 17 March, led by former United Nations Ambassador and Mayor of Atlanta Andrew Young and his wife Carolyn. Among many highlights of this once-in-a-lifetime trip will be the unveiling of a statue of Dr. Martin Luther King, Jr., at the Cradle of Humankind exhibition, a short drive from Johannesburg.